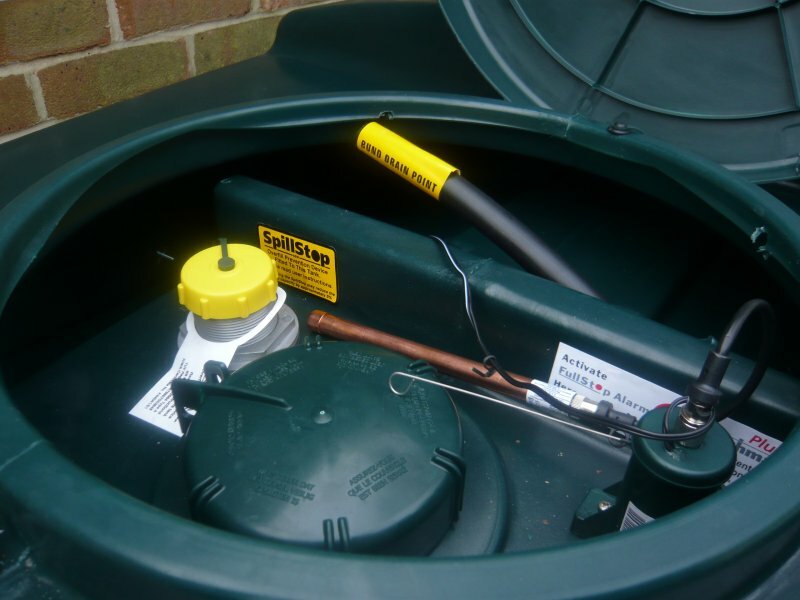 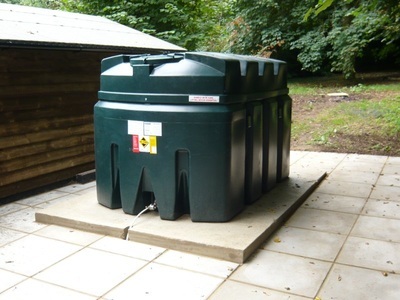 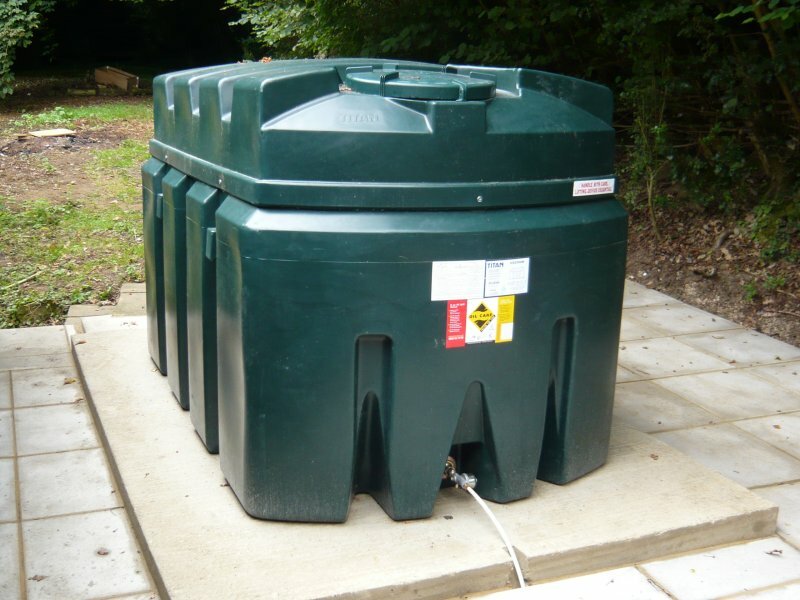 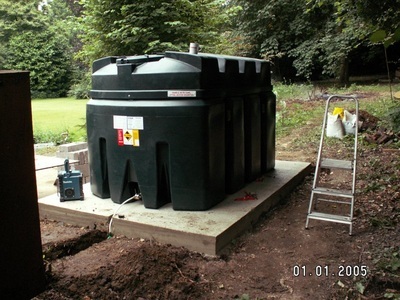 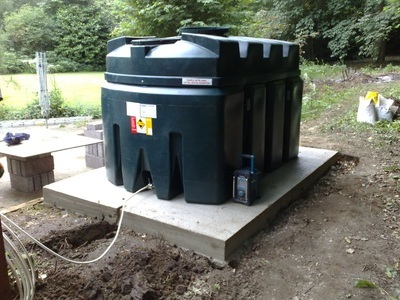 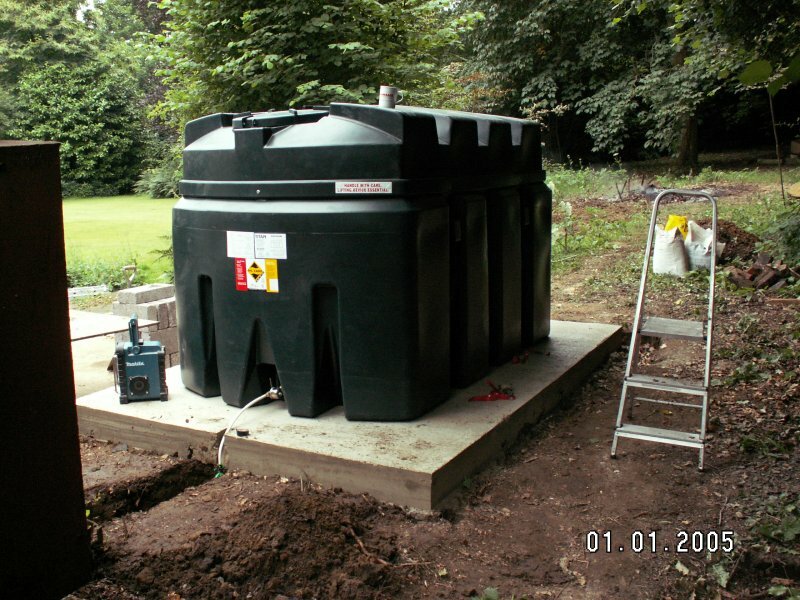 These are some photos of Oil Tanks that we have installed on customer sites. 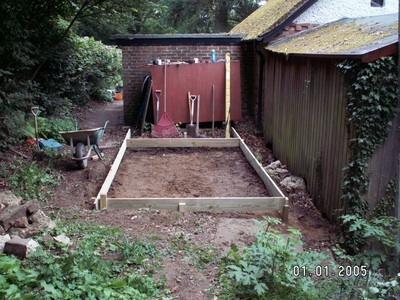 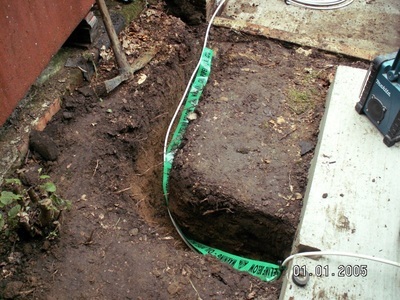 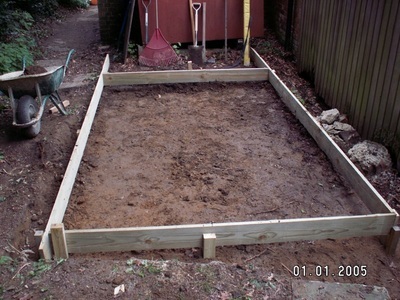 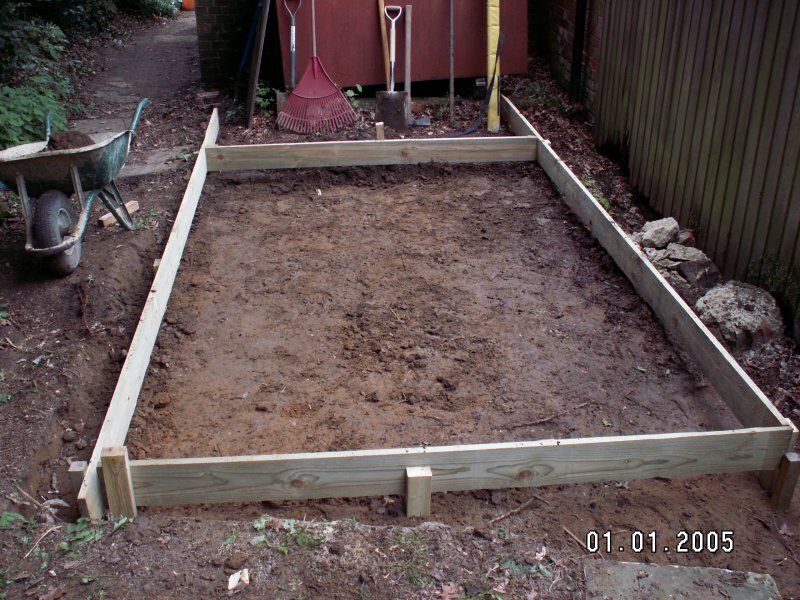 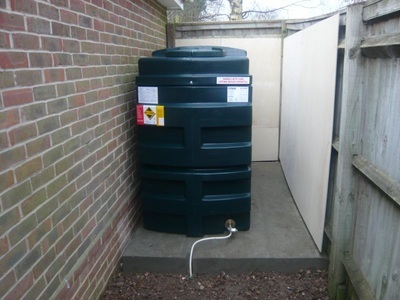 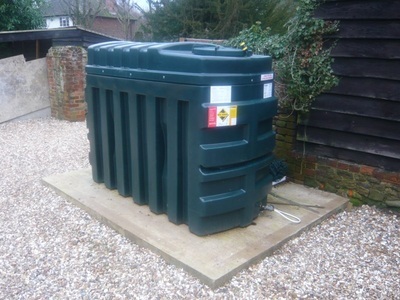 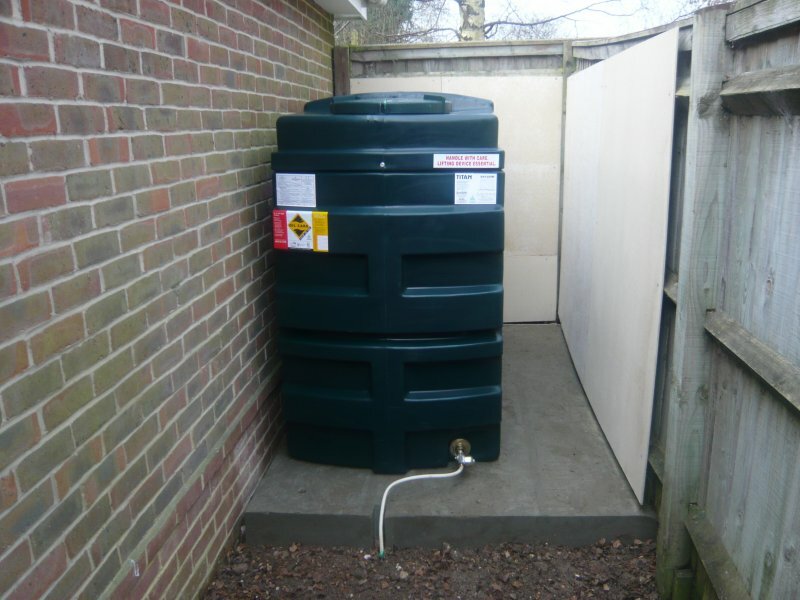 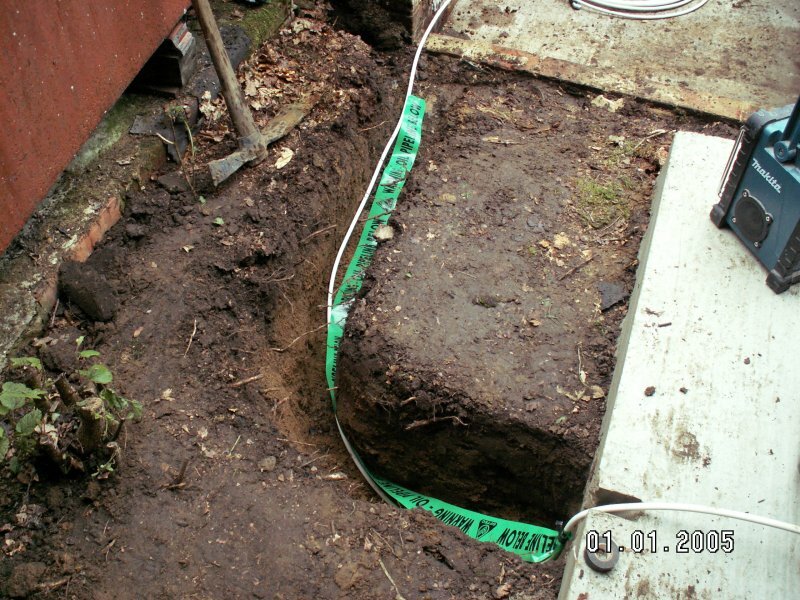 In the following installation space was at a premium so the oil tank had to be installed adjacent to an existing building. To ensure that adequate fire protection was provided, you can see that the adjacent fence panels were covered in fire-resistant boards giving 30 minutes' protection against fire. 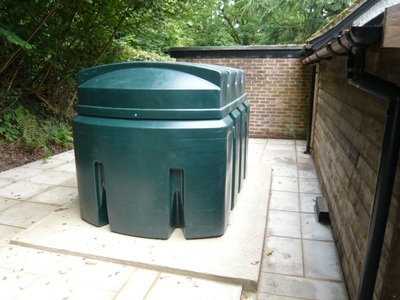 Additionally, the fascia and soffit boards above the oil tank were given fire proofing extending 300mm beyond either end of tank, again to give 30 minutes' protection against fire. 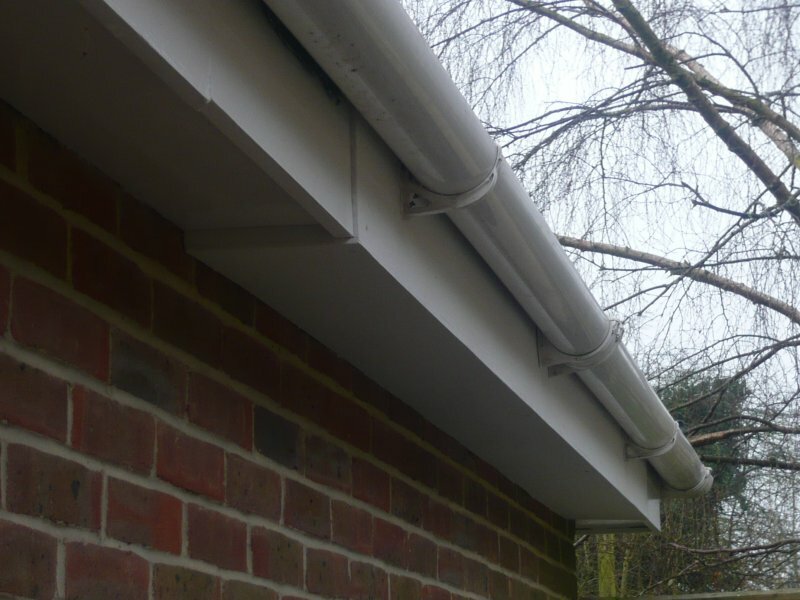 These were painted white so as to blend in with the other soffit and fascia boards.